Frac flowback is a process in which fracture fluid is recovered from the well to the surface. The process may also include the return of any energized gases and solids that have been injected into the well during the fracturing process. The purpose of the flow back is to safely recover the large volume of frac fluids from the well and transition the marketable hydrocarbons of the well stream to sales in a timely manner. Tech-Flo's jet pump and flowback rental systems can greatly accelerate this process. 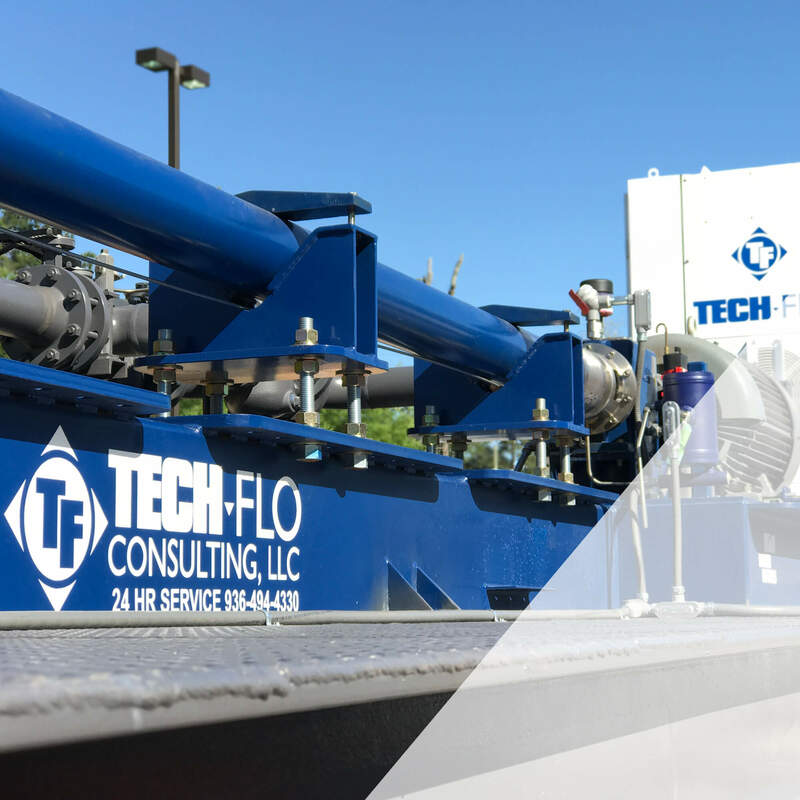 When utilizing a Tech-Flo hydraulic jet pump for frac flowback fluid extraction, full load recovery is typically seen in a 1/3 of the time when compared to other types of artificial lift (beam pump, gas lift, nitrogen injection). Production rates in excess of 4,000 bpd have been reached including amounts of gas reaching 2,000 mcfpd. The jet pump can also be serviced without a pulling unit or wireline and has excellent solids handling capabilities. Please call for more information and rental/test package pricing.